We’ve reached our last episode of the season. As you’ve joined us on this inspirational ride, you’ve heard from some of the biggest bosses in the game. 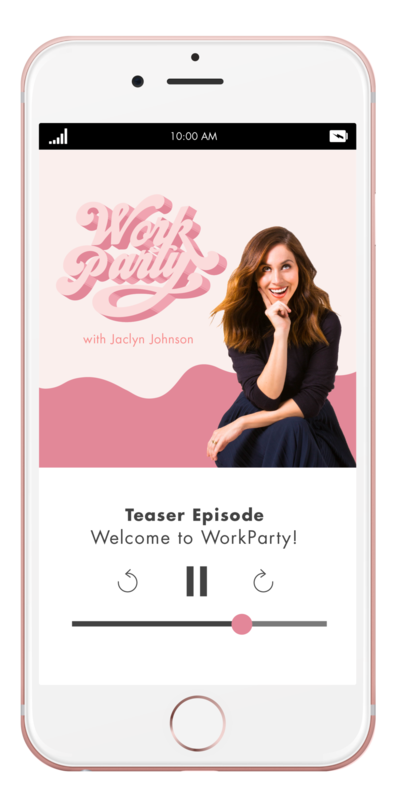 For our final episode, we’re talking about one of the most pivotal messages in WorkParty—collaboration over competition. LinkedIn’s Blair Decembrele joins us as our expert, to give all of her insight on how to make your profile stand out. Actress-turned-activist Sophia Bush is our special guest this week and she dishes on making friends as an adult, how a movement is the way to change culture, and so much more. Ahead some key takeaways from the conversation. Need to update your LinkedIn profile? Fill out the form below for a full checklist from our WorkParty expert, Blair Decembrele. Thank you! Download your checklist, HERE.